A ton of C5 Corvette Coupe questions. What is the body of a C5 coupe capable of attaining? Like is 250 mhp conceivable? Or is the body aerodynamically incapable? I currently have a C5 automatic coupe. I've topped it doing 186 mph(On GPS) on a hwy in El Paso Texas. I want to know how far I can push it, and how much hp it will take to get there. I'm trying to figure out what would be better, an LSX 427 for it, or forged LS3. Both making 630-700HP NA(I think at the flywheel) And later on I plan on doing a sequential twin turbo setup, with EFI, a boost controler(for on the fly boost adjustment). Ya I know I'm crazy... But eh I like speed and I like to keep it a daily driver. Also what mods can I do to the body to help increase my top speed via aerodynamic wise? My coupe is automatic, how much would it cost to have it changed to like a 6 or 7 speed manual? What do you recommend for manual transmission? I don't make much money I am in the US military, so I'm trying to do as much as I can afford. I plan on also putting in a HUD unit, but I am trying to find one cheap first. And I am not sure what to get for a aero kit for it. I read greenwood being great, but I can't find any info on the benefits of the kit for a C5. I plan on repainting the whole car. What do you recommend for suspension upgrades? 6 spoint harness setup for it? I know these are alot of questions, and that I"m crazzy and that it's going to take a long time to complete my car. 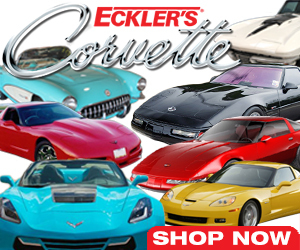 Comments for A ton of C5 Corvette Coupe questions. Wow thats the most questions of any thread! What you need to realize is what you really want is salt flats car! Here is what it takes to do 210!